Wish you all A Very Happy New Year - 2012. 1. 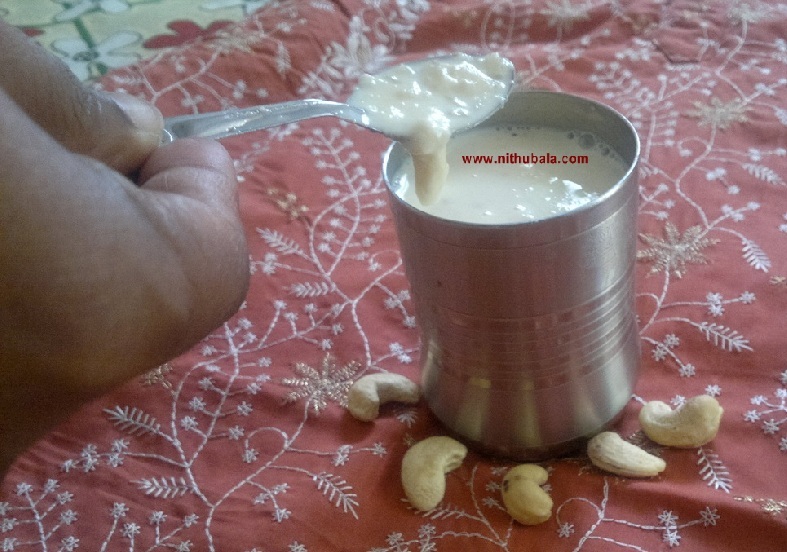 Fry nuts with a teaspoonful of ghee. Cool and finely powder. Keep aside. 2. Fry rice with a teaspoonful of ghee till it turns to light golden brown. 3. Bring milk to boil. Add rice. Medium the flame. 4. Keep stirring the contents. Add sugar, cardamom powder and powdered nuts once rice is cooked. 5. Wait till milk reduces to half of the actual quantity. 6. Serve hot or chilled. Both way it tastes great. Rice kheer looks so yummy and delicious. This is one of my fav desserts. one of my fav! !looks really creamy and delicious! Happy new year wishes to u and ur family..Super tempting kheer. Kheer looks yummy and delicious! Thanks for the follow at my space, glad to follow you..
Wishes for a Very Happy 2012 to you and family!!!! Yummy looking treat, looks fantastic. A very Happy New Year to you. A very Happy New Year Nithu...rice kheer looks so creamy n yummy...nice recipe!! very delicious kheer, yummy !! Happy New year to you and your family. 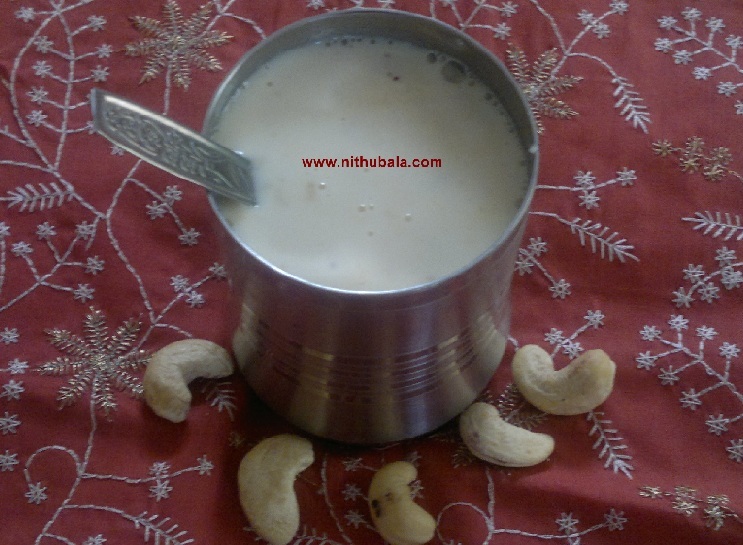 Happy new year to you too,nithu...Thank you for remembering me :) Payasam paradise is superb..
kheer looks delicious.... thank you so much for your comments... Glad to follow you as well... :) Wish you a very happy new year..
Lovely way to kick start the year,delicious!! As a kid I used to finish the entire bowl of rice kheer, I love it so much. Your kheer looks so creamy and delicious! U have lovely space. My fav evergreen recipe. very yummy and creamy kheer...delicious !!! I have an An Inspirational Award waiting for you in my blog. Pls collect it. I'm glad to know about you and your experiments in to the kitchen. Thank u for following me;hope u will enjoy and stay.Happy New Year 2012 and Prosperous life. Ur recipes are awesome.Following u Nithu. Nithu,Happy and delish Newyear 2012!. Rice Kheer luks appetizingly delicious. U have an yumm blog of wonderul recipes.Glad to follow U.